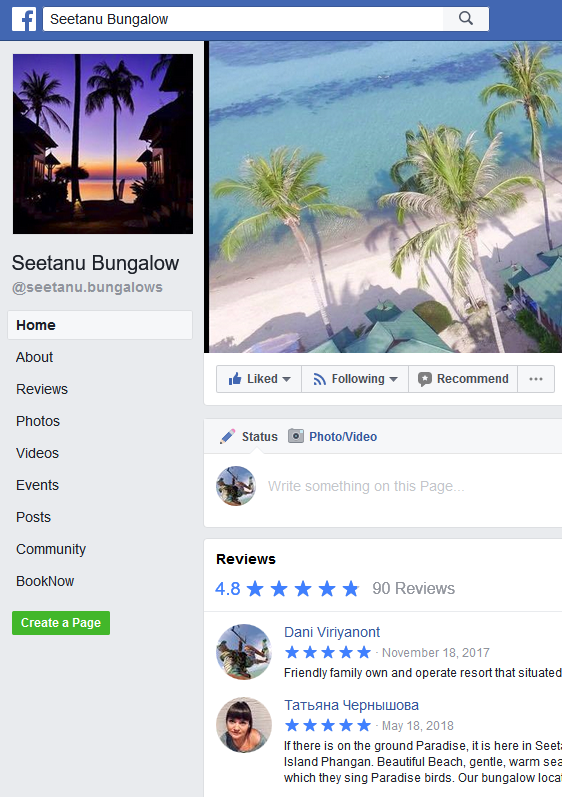 If you are looking for a quiet family friendly resort that located on a beautiful unique west side of Koh Phangan then Seetanu beach is the place. Only 8 km from the main town of Thongsala, Seetanu town is known for health conscious and retreat area. Enjoy beautiful sunset every evening while dining in our top rated Belgian Beer Bar restaurant. We hope to make your holidays in Koh Phangan, Thailand memorable. See you soon. On the beach, you can enjoy amazing sunset view. The Privilege Panorama is featuring unique decoration and our best amenities. Affordable fan room with a beach and sunset view from the hamock , a few steps from the restaurant and family pool. Affordable fan room that situated in our rushes garden with a short stroll to the beach, restaurant and family pool. Nice small thai bungalow m a;id in the tropical garden , a perfect affordable bungalow. Affordable fan room that situated in our rushes garden with a partial sea view , restaurant and family pool. Only a few steps to the beach, you can enjoy amazing sunset view. Enjoy the unique decoration and our best amenities. Only a few steps to the beach, you can enjoy amazing sunset view. The Privilege Sea View is featuring unique decoration and our best amenities. Sit right on the beach. The Privilege Beach Front is featuring unique decoration and our best amenities. Nous avons séjourné en famille au Seetanu fin avril. Un accueil chaleureux, (merci Clément :)), un bungalow confortable et très bien équipé ! Idéalement situé sur l’île, proche des commodités. A 2 pas de la plage qui semble juste réservée pour vous, quasi déserte, un endroit idéal pour se ressourcer. Tout est réuni ici pour passer de merveilleux moments ! I absolutely love the staff at Seetanu Bungalows. The rooms are clean and beautiful and the beach outside the hotel is one of the beast beaches in Koh Phangan. The food at the Belgian Beer Bar is great, and the service is so friendly and they do take care of all your needs. I would definitely recommend that people stay at Seetanu, the accommodation is excellent and so are the facilities. Great swimming pool, with the beach 1 min walk away. This was the perfect place for us to stay with our 6yr old daughter, she loved going i. The pool every day and the staff were great by preparing all kinds of food for her. The food was great, very tasty Thai food and the western food was brilliant too! Would certainly recommend you book to stay here! I will keep a fantastic memory of my stay there ! I felt at home in arriving..This place is run by an absolutely lovely, friendly & very very helpful couple ! Their team is wonderful, kind, helpful & I particularly enjoyed relaxing atmosphere of the place. Food is very good, rooms are clean & quiet & the beach is beautiful ! Go without an hesitation ! One of the most beautiful beaches in the west coast of Phangan, Moon and Quentin are very helpful owners and the restaurant is amazing. The only down side is that during high season you have to book your place early because they will be fully booked. Had a really nice stay here! Clean rooms, friendly people on staff, and nice shady spots with comfortable beach chairs to hang out on the beach which is right there outside your room. As long as you aren’t super picky about minor things like water pressure/ a couple misquitoes sneaking in, you’ll love it here. (We had a fan room, so it might be different for the AC rooms/ may not have these tiny issues at all). We had an amazing stay at Seetanu Bingalows. The room had the best view on earth on the beach and great sunsets. Very convenient location and all you need nearby. The rooms are confortable and have all the necessary things you need. Rooms are cleaned up every day provided you leave the key at the reception. The staff is very kind and helpful. 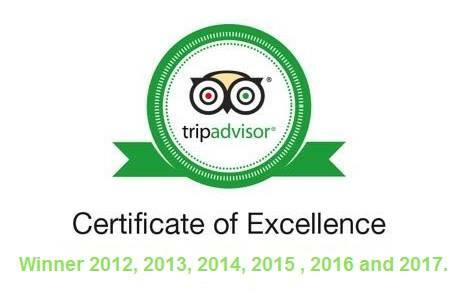 They can recommend you anything you’d like to ask for (visits, tours, bike renting, diving, taxi, airport transfers). I really want to thank them for making you feel so welcomed and confortable. Actually it was so nice we asked to stay longer than expected. Also, breakfast is great, especially the home-made jams (coconut one hmmmmm). Don’t miss the BBB restaurant! Definitely our favourite place to stay on the island. The staff are amazing, always happy to help and stop for a chat and always with a smile on their face. Restaurant is great with a wide selection of lovely food. Big portions too. I would highly recommend the seetanu bungalows for a very happy relaxing Thailand experience. Thanks for an amazing stay. Restaurant-Awesome Belgium beer imported, some 8-10%…typically really hard to find such great microbrews in Thailand. Food is great and decent priced. The best coconut jam and croissants for breakfast, MUST try! 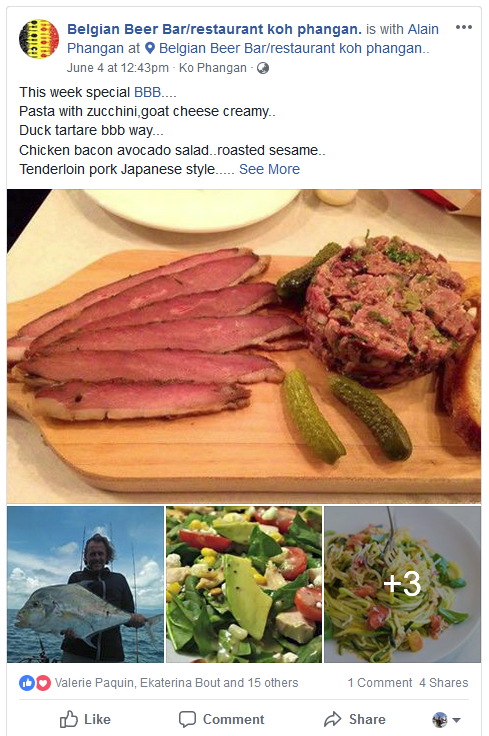 Anyone who has ever left a bad review for this place has to be a complete idiot and absolute snob. This place is great. DON’T WAIT. BOOK YOUR STAY TODAY!